The UAE is taking significant strides toward embracing Artificial Intelligence (AI) technologies as AI investments have increased over 70 per cent in the past three years and is expected to touch Dh33 billion ($8.9 billion) by year end. Businesses in the UAE across different sectors including as healthcare, education, oil and gas, and aviation are on their way to start integrating cognitive systems into their business. CIOMajlis is an initiative by Smartworld, a joint venture between Etisalat and Dubai South, that aims to contribute to realising the vision of the National Innovative Strategy with the goal of making the UAE the world’s most innovative country by 2021. Worldwide revenues for cognitive and artificial intelligence (AI) systems are estimated to reach $12.5 billion in 2017, an increase of 59.3 per cent over 2016, according to International Data Corporation (IDC) forecasts. Global spending on cognitive and AI, termed as the Fourth Industrial Revolution, will continue to see significant corporate investment over the next several years, achieving a compound annual growth rate (CAGR) of 54.4 per cent through 2020 when revenues will be more than $46 billion, according to the forecast. 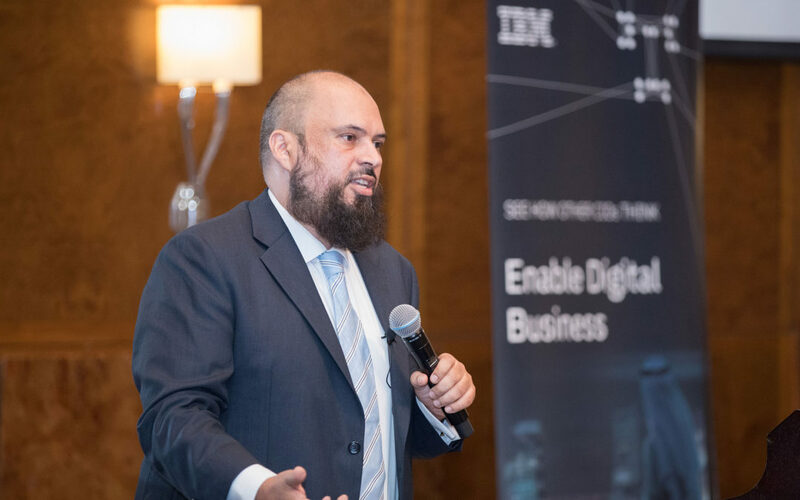 Businesses in the UAE across different sectors including healthcare, education, oil and gas, and aviation are on their way to start integrating cognitive systems into their business. Worldwide, interest in implementing AI systems is surging among companies and institutions, according to market intelligence firm Tractica. Revenue generated from the direct and indirect application of AI software will grow from $1.4 billion in 2016 to $59.8 billion by 2025, Tractica forecasts.